Need Help Uncovering The PERFECT Business Idea? What do planting roses, learning how to box, making balloon animals, and running a half-marathon all have in common? … but MORE importantly, they’re websites that are all based on each owner’s particular hobbies, interests, and experiences. And that’s the key to ANY successful Internet business: Build your website around a topic you LOVE, one you already know something about, and one you’re eager to learn MORE about. You’ll have a FAR greater chance of success! That’s because, when you build an Internet business around something you already know a lot about, you can forget about wasting valuable weeks or months trying to get up to speed on your subject. That leaves you with more free time to focus on creating your website, so you’ll have it live, and earning serious profits, MUCH sooner. And if you decide to sell an info product, like an ebook, you’ll be able to create that product — and have it ready to sell — almost right away! If your website is a labor of love, you’ll be MUCH more likely to stick with it, and give it your all. You’ll want to write articles, blog posts, and so on, because you genuinely have a hunger to learn more about the topic yourself, and a strong desire to share that knowledge. So instead of being “work,” your website will feel more like your fun hobby (but one that you can make potentially a LOT of money with)! Even better, the passion you have for your subject will show in your site’s salescopy, and your unbridled enthusiasm will be bound to get your visitors excited about your subject, too, which will translate into healthy sales. Finally, when your site is built around something you know a lot about, you’ll be able to speak about it with authority, which is a surefire way to establish your online credibility… something that’s critical when you do business on the Net. What subject or topic do you have a lot of knowledge about? What are people always coming to you for advice about? And don’t go thinking that you interests or hobbies have to be “serious” or life-changing, either, like curing disease or ending climate change. 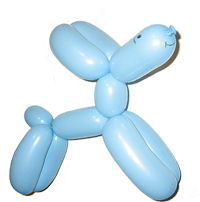 As we’ve just shown you, successful websites can be created around any interest imaginable… including balloon animals! Now, if you happen to be one of those people we hear from all the time who claim they don’t have any areas of interest or expertise, let us just say this: Hogwash! … it may just take a bit of digging to uncover it. To get you started, we’ve developed a 20-question quiz you can use to zero in on your passions and interests, guaranteeing that you start your lucrative website off on the right foot. We recommend you spend some “quiet time” reading carefully through the questions, and then allow yourself time to answer them thoroughly and truthfully. If you have time, give it a few days. By the end, we’re willing to bet you’ll have uncovered at least a couple of ideas to get you started on the road to Internet success. Do you play any sports? Which ones? If you had a million dollars and a week’s worth of free time, what would you do? List the first activities that come to mind. What websites do you visit when you’re just “surfing around” online? What topics do these sites cover? Have you ever won a trophy or award? What for? Have you ever been recognized for a contribution of services? What did you do? Do you have pets? What kinds? If yes, did you train them a certain way? Shows? Clothes? Hunting? Tricks? Do you have kids? What do you like best about being a parent? What do you find most challenging? Do you have any specialized education? Have you ever taken a class in a subject like pottery or sailing? Have you ever volunteered anywhere? What did you learn through this experience? What lifetime accomplishment are you most proud of? What did you learn from this experience? Do you have first-hand knowledge of any medical illnesses or issues? If so, which ones? Do you collect anything? If so, what? What television shows do you enjoy? What kind of music do you listen to? Do you ever attend theater events or other events related to the arts? Is there anything you’ve ever really wanted to do or learn about, but just haven’t had the time for? At a party, when you’re talking to a stranger, what’s your “fall back” topic of conversation? At work or with friends, on what subject are you the “go-to” person? What is you academic background? Any degrees or certificates? What was your favorite job? What was your role? What would your best friend say you’re best at? Have you done any renovations to your house yourself? Have you built or designed anything you’re proud of? And that’s it! Simple, right? After you go through the list, you’ll likely find that your challenge will no longer be coming up with any interests, but rather to narrow your list of interests down to just a few! Then, once you’ve got your list of interests and passions, you can turn them into a profitable website in just 5 days! … and then build a professional website complete with compelling salescopy, even if you don’t know a THING about HTML. In fact, just walk through every single step you need to take to start a profitable website from scratch, so you can repeat the process yourself for your other interests, and create MULTIPLE websites all directing money straight to your bank account. Hundreds of people already (including the ones I told you about at the beginning of this article), and I am happy to report that at the end of five days, every one of them was already getting eager shoppers visiting their brand-new sites! Click here to learn more about how you can get started right away. Hello and welcome to 101profitsonline.com.